Whether you are looking to write it on a post it note, text it, email it, post it to your significant others Facebook page, or just say it out loud to the one you love, there are many ways to say how you feel. 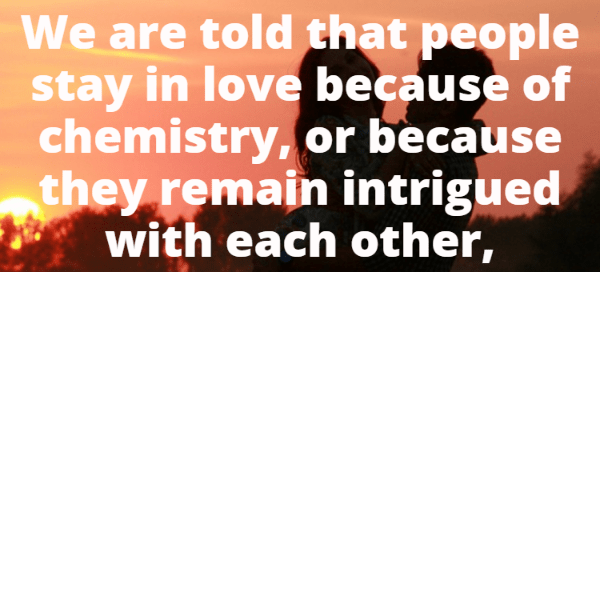 We have compiled a list of cute girlfriend or boyfriend quotes for you to give to significant other, to make them smile, to let them know you’re thinking of them, to say you care. We found plenty to choose from for you. Some long, some short, but you’re sure to find one or two in our list that will say exactly what you need it to say, or it might inspire you to write your own. Love and romance are vital in any relationship and a great way to start it is by sending some cute and romantic quotes. With these quotes, you’ll surely be able to win his/her heart over. Even a single message from you will make your lover’s day special. From this article, you’ll be able to choose a generous assortment of romantic quotes. Nothing is more valuable in the relationship than a quick love note! We are here to help you with quotes that are truly romantic and sweet. 1. You deserve flowers on your doorstep and coffee in the morning, you deserve notes left on your dashboard and ice cream sundaes at 3 am, you deserve honesty every day and to be kissed every hour you deserve to be reminded how beautiful you are. 2. It’s amazing how one day someone walks into your life, and then the next day you wonder how you lived without them. 3. I don’t want a perfect boyfriend. I just want someone to act silly with, someone who treats me well and loves being with me more than anything. 4. When I am with you I don’t need the warmth of a jacket or the light from a bulb; you are like a flame that gives me soft warmth and perfect light. 5. No one can ever replace your love. In my heart and in my soul, you will always be my one and only love. 6. When you came into my life, there is now no reason for my fear. Thank you for making me feel secure all the time. 7. Your laughter drew me to you, but your caring heart is why I want to spend forever with you. 9. You’re the one reason I wake up in the morning, you’re the one reason I find a way to smile, you’re the one person that can change everything around when it is going bad. Your eyes, your smile, your everything, your laugh, your look in your eyes when you talk to me. It’s just everything about you that makes me want you even more. 10. I cannot imagine a life in your absence. You are like the breathe of air that I need to live, the drop of water in a thirsty desert. I need you like a bird needs the skies to go higher – Constantine Jake. 11. Love is the emblem of eternity; it confounds all notion of time; effaces all memory of a beginning, all fear of an end – Madame de Staël. 12. Love is not blind, it sees more not less; But because it sees more it chooses to see less. 13. For it was not into my ear you whispered but into my heart. It was not my lips you kissed but my soul – Judy Garland. 14. Meeting you was fate, becoming your friend was a choice, but falling in love with you was beyond my control. 16. In my wildest dreams, you always play the hero. In my darkest hour of night, you rescue me, you save my life – Renaissance lyrics. 17. A guy who really loves a girl and thinks of her as his future wife, he will introduce her to all his friends and family. To tell his every relative that this is the one girl he will spend all his life with. 18. Two souls share a single thought as both hearts beat as one – John Keats. 19. You are all that I have longed for you have made my dreams come true. There is no greater gift to have than being loved by you. 21. Once in a while, right in the middle of ordinary life love gives us a fairy tale. 22. The best boyfriend you’ll have isn’t the best looking, the funniest, or the richest. It’s the one that makes you feel gorgeous, hilarious, and like a million dollars. He makes sure you know he loves you. 23. 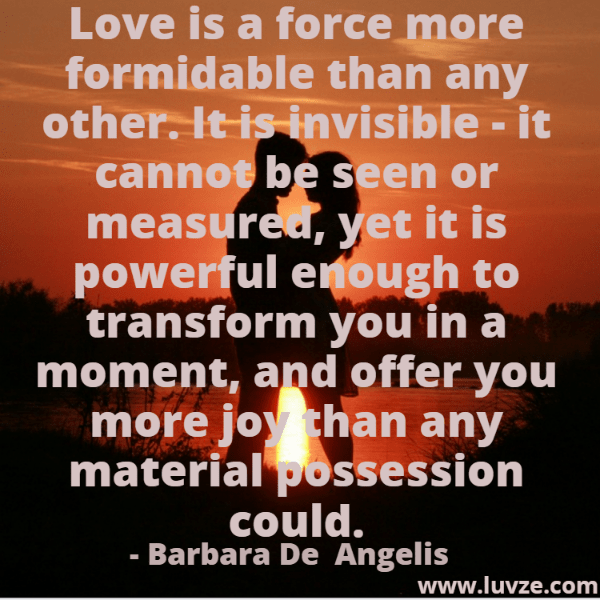 To love is to receive a glimpse of heaven – Karen Sunde. 24. Only the heart can see correctly that which is invisible to the eye – Antoine de Saint-Exupery. 25. If someone told me to choose between taking a breath and loving you, I would have to use my last remaining air to say how much I love you. 26. Before I met you I never knew what it was like to look at someone and smile for no reason. 28. Love is a friendship set to music – Joseph Campbell, Jackson Pollock, E. Joseph Cossman. 30. I love you. I am who I am because of you. You are every reason, every hope, and every dream I’ve ever had, and no matter what happens to us in the future, every day we are together is the greatest day of my life. I will always be yours – Nicholas Sparks. 31. That person who enters your life out of nowhere and suddenly means the world to you. 32. When I met you I realized how much you would end up meaning to me. 33. My love for you has no depth; its boundaries are ever-expanding. My love and my life with you will be a never-ending story. 34. I only want 3 things… See you. Hug you. Kiss you. 35. In your arms is right where I want to be where nothing else matters but besides you and me. 36. To be your friend was all I ever wanted; to be your lover was all I ever dreamed. 38. I’ve tried that love thing for the last time. My heart says no, no! Nobody’s supposed to be here, but you came along and changed my mind – Deborah Cox. 39. Without His love I can do nothing, with His love there is nothing I cannot do. 41. I don’t need a knight in shining armor; a sweet boy in old jeans will do just fine. 42. Your arms around me is all that I need to face anything that life throws at me. 43. You are to me what water is to plants – absolutely necessary! 45. There is no one else who will love me like you will. You knew everything about me. You accept me for who I am. And if I would have to live my life again, it is still you I will choose to love. 46. My love, there is no one else like you. You give me butterflies; you’ve made me so happy. In your eyes I can see our future. What else could I ask for? I think I already found the one who could give me an endless happiness. 48. Give me a kiss and I will serenade you among the stars, give me your love and I will pluck each star to lay at your feet. 49. You have no idea how my heart races when I see you. 52. The ultimate lesson all of us have to learn is unconditional love, which includes not only others but ourselves as well – Elizabeth Kubler-Ross. 53. If I could have just one wish, I would wish to wake up every day to the sound of your breath on my neck, the warmth of your lips on my cheek, the touch of your fingers on my skin, and the feel of your heart beating with mine… Knowing that I could never find that feeling with anyone other than you – Courtney Kuchta. 55. If a star falls from the sky every time I think about you, then the moon would realize what loneliness is really like. 57. When I gaze deep into your mind, I am met with the beauty of a thousand diamonds. As I let that love flood over my body, I knew there was nothing I would ever trade our relationship for. 58. Pure love is a willingness to give without a thought of receiving anything in return – Peace Pilgrim. 59. The giving of love is an education in itself – Eleanor Roosevelt. 60. We stay in love because of forgiveness and gratefulness…. 61. In matters of the heart, nothing is true except the improbable – Madame de Stael. 62. I love you for all that you are, all that you have been, and all that you are yet to become. 63. I never wanted to be your whole life, just your favorite part. 64. In all the world there is no heart for me like yours, in all the world there is no love for you like mine – Maya Angeloju. 66. Whenever I look at you, I forget everything I was going to say. 68. To be fully seen by somebody, then, and be loved anyhow–this is a human offering that can border on miraculous – Elizabeth Gilbert. 69. If I know what love is it is because of you. 71. A woman knows the face of the man she loves as a sailor knows the open sea -Honore de Balzac. 72. Faith makes all things possible… love makes all things easy – Dwight L. Moody. 73. A life lived in love will never be dull – Leo Buscaglia. 74. The real act of marriage takes place in the heart, not in the ballroom or church or synagogue. It’s a choice you make–not just on your wedding day, but over and over again–and that choice is reflected in the way you treat your husband or wife. – Barbara de Angelis. 75. Love has nothing to do with what you are expecting to get–only with what you are expecting to give–which is everything – Katharine Hepburn. 77. When I saw you I fell in love, and you smiled because you knew – Arrigo Boito. 78. Never love anyone who treats you like you’re ordinary – Oscar Wilde. 79. Though lovers be lost love shall not – Dylan Thomas. 80. Don’t be a woman that needs a man. Be a woman a man needs. 81. Any home can be a castle when the king and queen are in love. 82. The best love is the one person that makes you a better person without changing you into someone other than yourself. 84. A woman has got to love a bad man once or twice in her life to be thankful for a good one. 86. Love me when I least deserve it, because that’s when I really need it – Swedish proverb. 87. Eventually you will come to understand that love heals everything, and love is all there is – Gary Zukav. 88. The one thing we can never get enough of is love. And the one thing we can never give enough of is love – Henry Miller. 89. Nobody has ever measured, not even poets, how much a heart can hold – Zelda Fitzgerald. 90. Love is the best thing in the world, and the thing that lives the longest – Henry Van Dyke. 92. Immature love says: ‘I love you because I need you.’ Mature love says ‘I need you because I love you.’ – Erich Fromm. 93. There’s no love like your love and no other could give more love, there is nowhere unless you are there all the time…all the way. 94. First best is falling in love. Second best is being in love. Least best is falling out of love. But any of it is better than never having been in love – Maya Angelou. 95. Love is when the other person’s happiness is more important than your own – Jackson Brown, Jr.
97. You never fail to amaze me. Every day there is something new that makes me love you even more than before the day before. 98. Love is composed of a single soul inhabiting two bodies – Aristotle. 100. The sweetest of all sounds is that of the voice of the woman we love – Jean de la Bruyere. 101. Love is like a friendship caught on fire. In the beginning a flame, very pretty, often hot and fierce, but still only light and flickering. As love grows older, our hearts mature and our love becomes as coals, deep-burning and unquenchable – Bruce Lee. 102. We loved with a love that was more than love – Edgar Allan Poe. 103. Love is of all passions the strongest, for it attacks simultaneously the head, the heart and the senses – Lao Tzu. 104. Love is giving someone the ability to destroy you, but trusting them not to. 105. The more I think it over, the more I feel that there is nothing more truly artistic than to love people – Vincent van Gogh. 107. I would rather share one lifetime with you than face all the ages of this world alone. – Arwen, The Fellowship of the Ring. 108. My dear one, your happiness is more to me than anything. 109. Love is not only something you feel, it is something you do – David Wilkerson. 110. Where there is great love, there are always miracles – Willa Cather. 111. The world is too dangerous for anything but truth and too small for anything but love – William Sloane Coffin. 112. Life is the flower for which love is the honey – Victor Hugo. You may also enjoy our Good Night Quotes. 113. The first duty of love is to listen – Paul Tillich. 115. Love vanquishes time. To lovers, a moment can be eternity; eternity can be the tick of a clock – Mary Parrish. 116. Love does not alter the beloved, it alters itself – Soren Kierkegaard. 117. A good marriage is one which allows for change and growth in the individuals and in the way they express their love – Pearl S. Buck. 118. 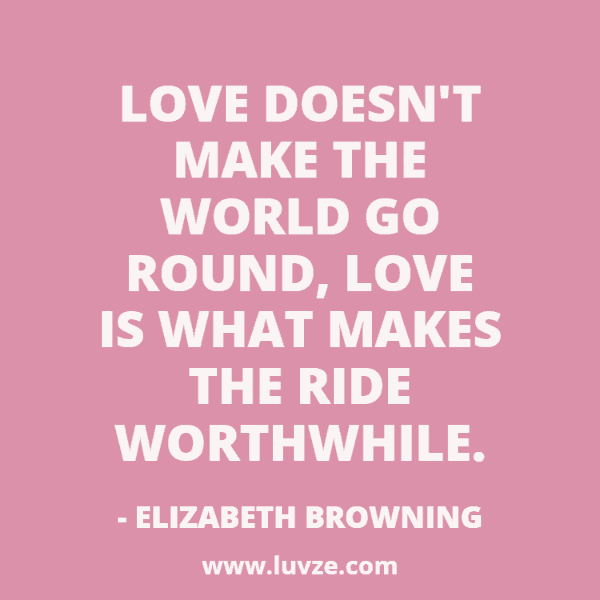 Love doesn’t make the world go ’round; love is what makes the ride worthwhile – Franklin P. Jones. 119. You are my best friend, my human diary and my other half. You mean the world to me and I LOVE YOU. 120. Last night I looked up at the stars and matched each one with a reason why I love you. I was doing great until I ran out of stars. So now you’ve read our cute boyfriend/girlfriend quotes. Hopefully you were inspired by some of them and want to send them to your crush. These quotes will surely describe your love towards your partner. Love is the key to a fulfilling life and it leaves a positive impact on anyone. We have a tendency to visualize ourselves and our partner as one unit. When we are in love, we become wordless and may have hard time to find the cute words for him/her. We explore the world of fantasy and sometimes we feel a false sense of security, the illusion that we feel that we are no longer alone. However, once we are in love with someone, we lose our sense of vitality. Relationships offer us to travel in the realm of fantasy and we try our best exclusively to fulfill our own desires. We look up all the cute sweet love words across the universe to tell him/her how much we love them. Love is an unspeakable feeling and we want to express our feelings to our loved one’s. 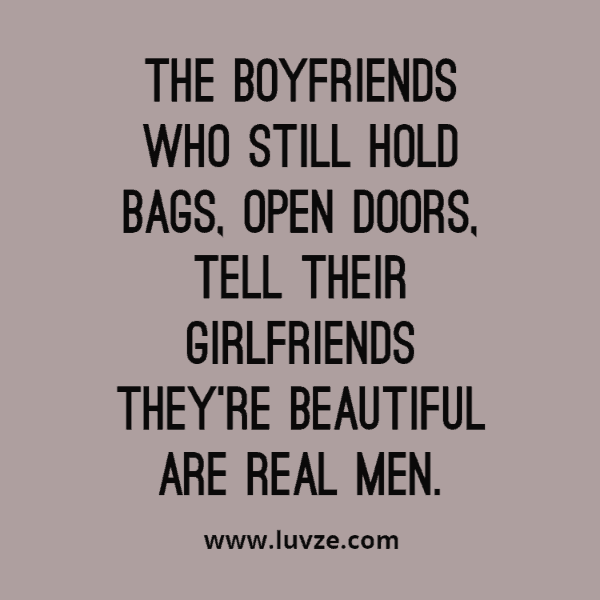 And what better way to show your love than by sending him/her couple of cute love quotes. 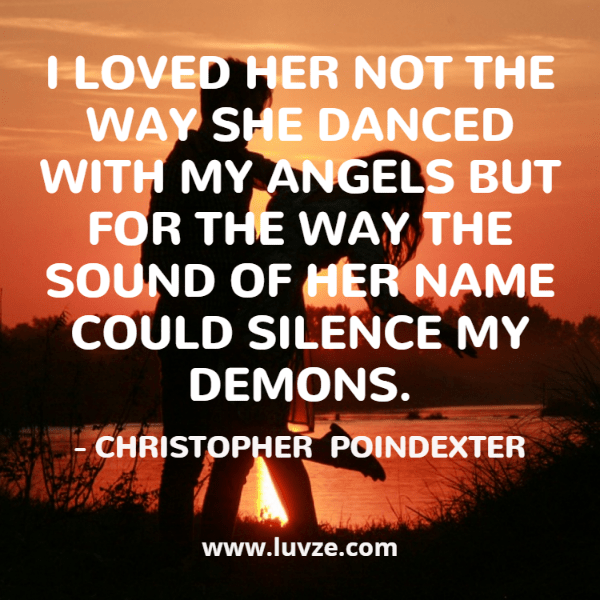 These example quotes will help you collect some sweet words for your lover. Sometimes it’s hard to express how you actually feel, these lovely quotes will help you describe that feeling. All you need to do is to read the quotes and single out the perfect one that is closest to your heart. Number of these quotes can assist you to articulate your special feelings briefly. 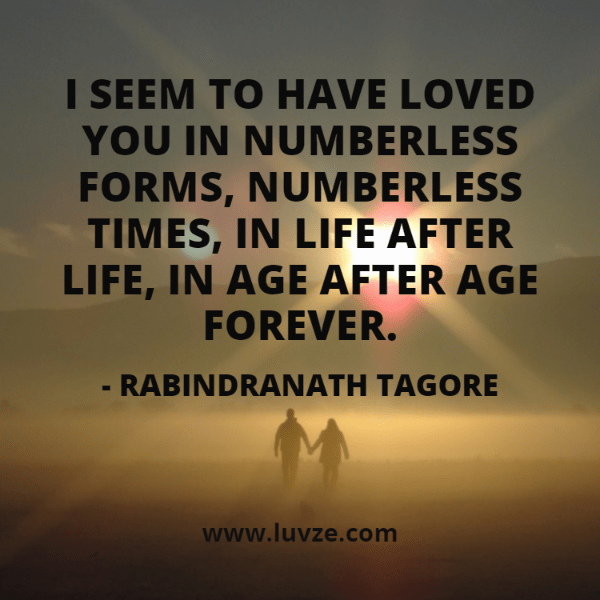 These quotes will help you build your relationships significantly stronger than ever. You can use these sweet quotes to brighten your partners day. Start describing the love that you feel for him/her. You’ll be glad you did! I loved the closing remarks! great post.